Lucy has left Lockwood & Co. A freelance operative, she is hiring herself out to other agencies – agencies that might value her ever-improving skills. But now Lockwood needs her help. Penelope Fittes, leader of the well-renowned Fittes Agency wants Lockwood & Co. – and only them – to locate and remove the ‘Source’ for the legendary Brixton Cannibal. It’s a tough assignment. Made worse by the tensions between Lucy and the other agents – even the skull is treating her like a jilted lover! What will it take to reunite the team? Black marketeers, an informant ghost, a Spirit Cape that transports the wearer, and mysteries involving their closest rivals may just do the trick. But not all is at it seems. 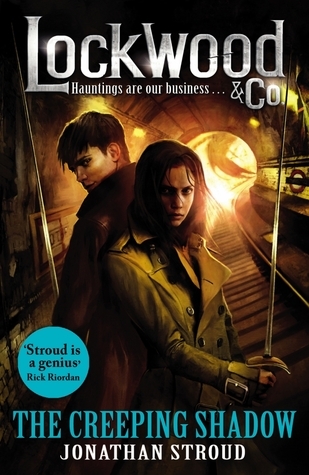 And it’s not long before a shocking revelation rocks Lockwood & Co. to its very core . . . I love this series. I won't say too much because I don't want to spoil the book or earlier books in the series. The books are a perfect mix of fun and spooky. The writing is clever and always make me chuckle as I'm reading and this installment was not exception. The story is creepy and kept me hooked throughout. If you've not started the series don't start with this book. Go back to the start of the series and start from there. 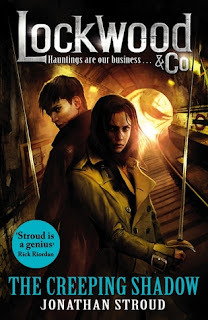 While you could read it as a standalone for the ghosty stuff there's so much backstory between Lockwood, Lucy and George you wouldn't appreciate without having read book one to three first. A perfect series for Halloween. I'm not a huge fan of creepy reads but I love this series for the clever writing and awesome characters.